When you are saying "chai tea," you are basically saying, "tea tea." Chai is a way of life in India. Almost everywhere you go—in trains, on streets, in sari shops—you will see people gulping down the sweet, spicy, milky beverage. In America, "chai" has become known as a flavor of tea with predominantly cinnamon or cardamom notes. But in India, chai is not a flavor of tea; it is tea—chai literally translates to "tea" in Hindi, so when you are saying "chai tea," you are basically saying, "tea tea." What we think of in America as this highly specialized beverage is, in India, simply the standard way of preparing tea. Chai culture in India developed out of British colonization. During this time, the British East India Company was thriving, with tea from Assam, India being one of its biggest commodities. Tea consumption in India grew, and eventually, Indians took the British preparation of tea—black with milk and sugar—and put their own spin on it, with the addition of spices such as ginger, cinnamon and cloves. 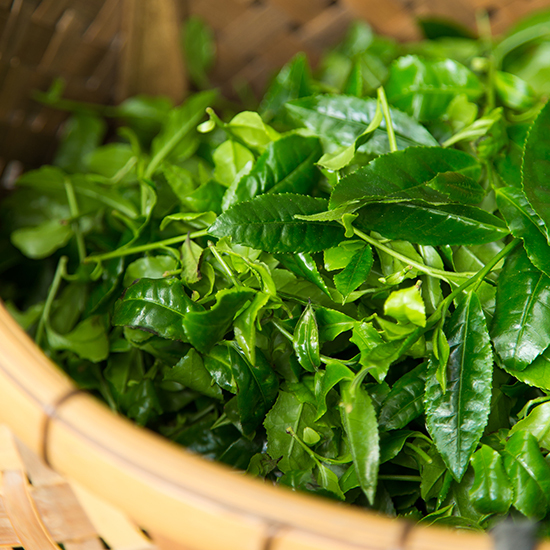 Nowadays, India is not only one of the largest producers of tea in the world, but also one of the biggest consumers of it. 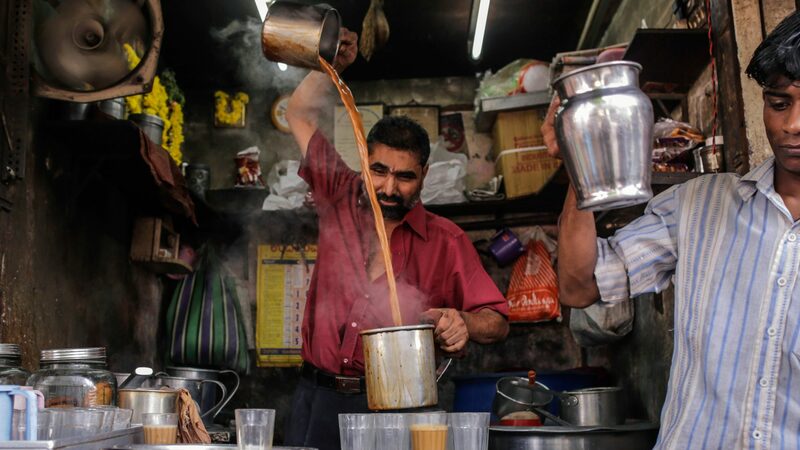 In most big cities, you'll find chaiwallas (vendors who specifically sell chai) on every corner, with their enormous steel pots or kettles full of simmering chai. If you go to someone's house in India, there is a 100 percent chance of chai being served. There are regional variations, too: in Kashmir, people will sometimes use green tea instead of black tea, and almonds are often added. In Bhopal, chai might have a pinch of salt in it. For the most part, however, the basic components of chai are the same: tea, milk, spices, and sweetener. I turned to Anju Sharma, the chef/owner of the very excellent Indian restaurant, Amma, in New York to show me the ropes on how to make a great cup of chai. Also included in my expert panel: my mother, Ritu Krishna—a formidable chai maker all her own. With a few exceptions, the base of chai is a black tea. There are many variations of black tea, but Assam is the most common in chai, as it has a strong, full-bodied flavor. Some people will get fancy and use a mixture of teas—my mother combines Assam and Darjeeling tea in her chai because the former imparts "color and body," and the latter imparts "aroma and flavor," she says. Chai almost always includes milk, and that milk is usually whole. Sharma says whole milk is the best way to bring out the richness in all the spices. Conclusion: whole milk or bust. Chai can include a number of different spices. Cardamom is the most common ingredient, followed by some mixture of cinnamon, ginger, star anise and cloves. Pepper, coriander, nutmeg and fennel are also used, but they are slightly less common. Every family has a blend to suit its tastes. Sharma's version, for example, includes cinnamon, clove, fennel seed, and ginger, while my mother's version (somewhat unconventionally) only includes cardamom. A tip from my mom: fresh spices make the best chai. Always try and start with the purest version of each spice—like cinnamon sticks, whole cloves and cardamom pods. Plain white sugar is the most common sweetener for chai. Jaggery, or unrefined cane sugar, is also used, due to its concentrated sweet flavor, but it's harder to find in America. Chai typically involves a bit more sugar than you might be used to adding; my mother uses at least a heaping teaspoon of sugar in each cup of chai to get the fullest flavor out of the spices. Parle-G: Sweet, rectangular, extremely dunk-able cookies that soak up chai in all the right ways. Look for the package with the cute kid on it. Other types of biscuits or cookies are also very much acceptable. Tiny Sandwiches: Usually made with white bread and stuffed simply with vegetables like cucumbers and onions, sometimes chat masala, and if you're lucky, ketchup. True story: I love ketchup sandwiches. 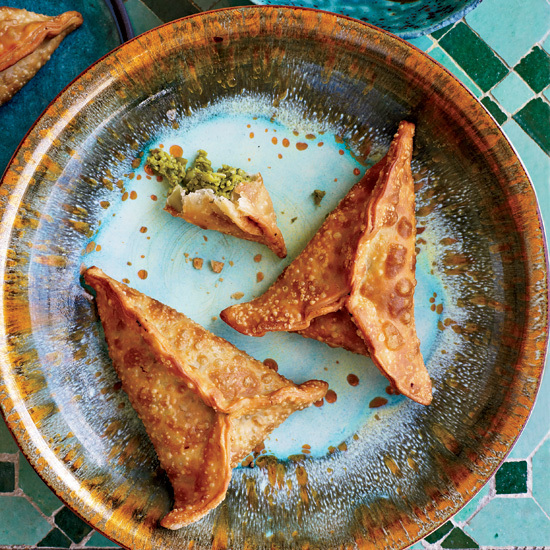 Samosa: Deep-fried pockets of spicy potatoes and peas—it's very hard to eat just one. Pakora: Deep-fried spicy vegetables—like tempura, but better. Murukku: Crunchy fried snacks made with rice and lentil flour. These are insanely addictive. Sharma says that according to the occasion or time of day in which you are drinking chai, the accompaniments will vary. In the morning, she says, you might drink chai with bread or sandwiches; in the evening, the snacks might consist of biscuits and pakora; if guests are over, samosas will come out. There are a couple different schools of thought on the best methods for making chai. The basic process involves boiling water, tea, milk, sweetener and spices in some order of operations, bringing the chai to a simmer, and straining it. But, as with the other aspects of chai, there is a lot of room for variation—and a lot of debate over the best methods, like when to add the milk, or how long to let the chai simmer. Sharma is insistent that you can't put all the ingredients into a pot of water before bringing the water to a boil. She says that in order to bring out the deepest flavor of the tea and spices, you have to boil the water first, then add the spices, and after a few minutes, add the tea and then the milk. "The key is patience," she says. In the late '90s, Starbucks started serving its own variation of chai, named "chai tea." Other coffee shops followed suit, and soon, the drink became a standard offering—though often times, vanilla or cocoa would be added to the tea to give it a milder, more familiar taste. From there, chai-flavored desserts (and pre-made chai flavorings) started popping up in bakeries everywhere—chai doughnuts, chai cream puffs, even chai macarons. The crowning jewel of the mainstreaming of chai came, perhaps, in the form of Oprah Chai Tea, Oprah's collaboration with Starbucks and tea company Teavana to create different variations on chai, which included ingredients like lemongrass, roobois and basil. All that said, according to Sharma, nothing beats a homemade cup of chai—and her customers know it. "When people come to our restaurant and have our tea, they forget what they have at Starbucks," she says. "They just want the tea with all the masalas [spices]. They like the original flavor that is there." Next time you have a hankering for a hot beverage, consider brewing your own chai at home—all you need is black tea, milk, some spices, and sugar (and a couple of deep-fried snacks, to be sure). Just please, please stop calling it "chai tea."